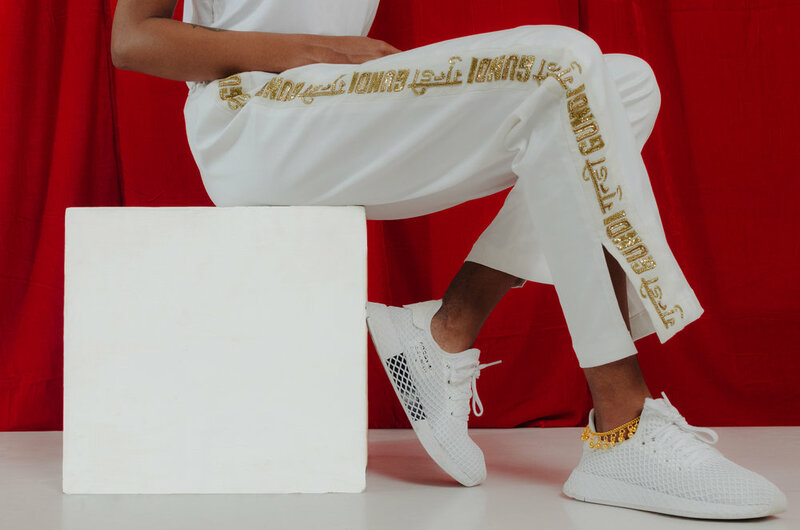 Natasha Sumant is a young designer hell-bent on correcting the representation of South Asian women in fashion, editorial, media, and beyond. In 2014, she started Gundi Studios, which just formally launched an online store and clothing collection. Her work aims to inspire and educate her audience on issues related to feminism and navigating the world as a South Asian woman. Warm up! Tell us a bit about your creative background. Who is Natasha Sumant and how did she get here? I’m an Indian designer/artist living and working in New York. I spent my childhood in India and so had naturally been exposed to art and design, as it is so woven into our culture. I’ve been drawing and making things since before I could write or speak so you could say I was always artistically inclined. So I went to Parsons, and studied communication design as fine art didn’t seem like a lucrative option and although I liked fashion, the process of sewing was never something I could get into. My inclination to conceptual work has led me to starting my own studio where I make clothes, and other conceptual work that takes the form of editorials, installations, and videos. What brought you to create Gundi Studios? Who is it for? So I created a space for myself and for girls like me. Gundi Studios is a slow fashion, political media studio that celebrates outspoken Desi women. The word “Gundi” in Hindi is the female word for thug/gangster, but it’s also what people playfully call girl children when they’re being cheeky. We create streetwear that uses techniques (Aari, Zari, and Cut Dana) traditionally used on Sarees and Burkas, providing an opportunity for a modern brand to help keep an ancient craft and the community surrounding it alive. Our consumer-facing media aims to inspire and educate our audience on issues related to feminism and navigating the world as a South Asian woman. How would you describe the creative direction at GUNDI? Do you recognize a signature style that links your other freelance projects, or do you try and excuse GUNDI to speak in an independent way? With the creative direction of Gundi I am trying to explore the darker grungier side of Desi (South Asian) design, while also trying to create a visual language for South Asian feminism. South Asian art, and the newer design work coming out of India at the moment, is very colorful and playful for the most part. Every major feminist movement has had a visual identity and language associated with it. I definitely do have an (evolving) signature style, and have always been influenced by music, resistance iconography, and fashion. Reds, whites, blacks, and darker tones have always been featured in my freelance work and the creative direction of Gundi reflects the same. Stylistically you could say that they’re similar, but the themes I explore with Gundi are much darker, and are always aiming to make some sort of socio-political commentary. Whereas my freelance work almost always depends on the client’s business needs and goals. However, aesthetic is pretty important to me, and so I tend to work with brands that appreciate my design sensibilities. Any major challenges or breakthroughs in launching the studio or its works? There have been so many! Starting the studio and the brand has been a huge learning curve, since making clothes was never something I was classically trained in. The biggest challenges have been designing an effective system for production. I also knew nothing about business, which design schools in general should really teach. But I’ve come to learn that applying design thinking in every scenario has helped me literally make anything I put my mind to. A breakthrough would be that as designers we don’t always fully understand our position of privilege. I went to a talk by Sanjay Garg in April and he said that the difference between a designer and an artisan was privilege. Designers use their heads while artisans use their hands. We design things in seclusion, and are not always fully involved in the production process; we don’t always understand the human capital involved to execute our design. Watching how typography moved through mediums was a humbling experience. From my screen to print, to someone poking holes on the design, to making a stencil, retracing it on different cloth and then hand-embroidering it. Makes all that careful kerning on InDesign seem so futile in comparison. How do you see the GUNDI brand evolving in the next few years, do you have any dream applications or collaborations? In the next few years, I would love to see Gundi evolve into a large community of Desi girls and ultimately be a model for how design can affect social change, especially within the fashion and graphic design industry. A dream collaboration would be to make something with M.I.A. I think she is a creative genius, and I have learned a lot by studying her work. Not enough people realize she directs and edits her videos, and designs her album covers herself. Everything from her sound samples, to her graphics and lyrics, are carefully directed to communicate very specific socio-political topics. Studying her work has really taught me how to be a meticulous and deliberate creative.